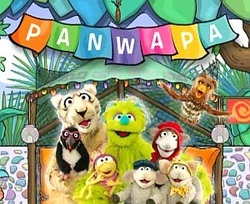 From Afghanistan to Zimbabwe, more than 25,000 kids have planted their flags on PANWAPA.COM, a lively new site from Sesame Workshop (from the corresponding mini-show on Sprout). Kids start by creating an avatar and a home from a diverse palette of options -- Sari or kimono? Igloo or cabin? -- and then build a flag that represents their favorite food, sport, instrument, etc. The flags illustrate how kids from different cultures can unite over common interests, like hamsters or jump rope. Using a globe to navigate around the world, kids can visit friends, leave messages for them, and learn about their countries. Six cuddly new Muppets host fun games that teach language and critical thinking skills, and a number of videos spotlight real kids around the world. Elmo, Ernie, Grover, and friends have a new online home at the recently revamped SESAMESTREET.ORG, a colorful collection of activities featuring the beloved Muppets. Parents who register on the site (user name and password only, no email) can create a My Street page for their child to store playlists -- collections of favorite videos and games. There's also a section of playlists created by Sesame, organized around subjects and educational themes. A special section for parents provides advice on topics like helping kids cope with stressful events and developing healthy habits. reading/vocabulary. Through an island carnival, emerging readers are engaged in different games with familiar characters from Sesame Street, Word World, and Super Why! Users can earn tickets as they navigate their way through the games and choose prizes as they go. Upon landing on POISSONROUGE.COM you'll be transported to a playroom filled with puppets, building blocks, dolls, and finger paints. Clicking on a toy then easily takes you to a game or activity. For example, a mannequin brings up a full-screen figure that can be posed in various ways. It appears a little too simple at first, but the activity actually teaches how the human body moves and symmetry, not to mention proper navigation of the computer mouse. Another activity, a digital board game, allows users to learn counting through rolling a die and moving ladybugs across a stylized grass board. Basic music accompanies actions on the site and navigation is simple -- click on a toy to play with it and return home by clicking on the red fish at the bottom of each page.